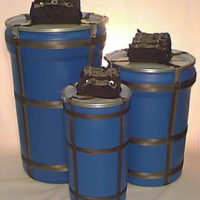 Butler Parachute Systems can design custom cargo delivery systems to meet your specifications. 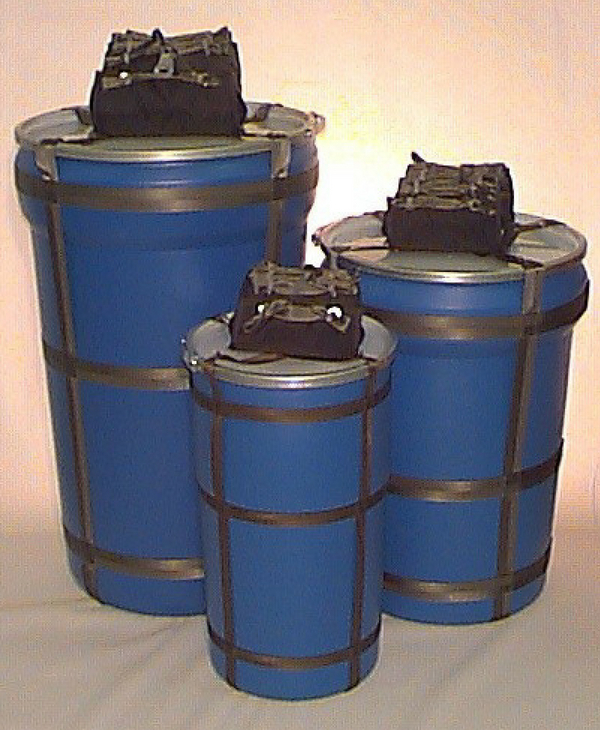 In addition to custom cargo parachutes, we offer an off-the-shelf cargo system designed to deliver equipment packages of a variety of weights. The Small-unit Modular Aerial Re-supply Technology (SMARTChute) system comes pre-packed assemblies are available that include the canopy, bag, container, riser, and static line. These systems come ready to hook the static line to the airplane and riser to the payload. The Butler SMARTChute™ System is designed to provide you with an affordable, easy to use, airdrop system for delivery of general cargo, tactical supplies, disaster relief, and rescue equipment. The SMARTChute is available for bulk cargo or liquid cargo using rugged polyethylene barrels– ranging from 14 gallons to 95 gallons. The SMARTChute™ System components are designed to be interchangeable, easily assembled and installed with minimal skill in parachute rigging and aerial delivery. To further reduce the logistics burden and the skill level required in the field, pre-packed assemblies (canopy, bag, container, riser, static line) are available. The pre-packed assemblies come ready to use out of the box. If needed, training in basic airdrop procedures is available from Butler Parachute Systems. 12' Medium Duty Flat Circular Cargo Canopy - USCG Standard 2.3 lb. 3120 64 lb. 40 lb. 17.5' Medium Duty Conical Cargo Canopy 3.1 lb. 3117 122 lb. 75 lb. 20' Medium Duty Conical Cargo Canopy 4.3 lb. 3121 162 lb. 105 lb. 24.5Medium Duty Conical Cargo Canopy 5.4 lb. 3116 243 lb. 155 lb. 24.5' Medium Duty LoPo Conical Cargo Canopy 5.4 lb. 3119 268 lb. 175 lb. 28' Medium Duty Conical Cargo Canopy 8.5 lb. 3110 322 lb. 220 lb. 28'/28 Gore Medium Duty Conical Cargo Canopy - USCG Standard 8.7 lb. MD28-25.92 322 lb. 220 lb.